Complete face with the best drugstore products! Today I’ve compiled a list from A to Z of every and all products that you would need to complete a full face makeup routine. These items were put together through trial an error testing out the best drugstore makeup. I wanted to have a complete list of affordable makeup that would create a very complimentary look for all ages and skin types and could be worn daily. Of course feel free to add or skip a step depending on you routine and what you feel comfortable wearing 🙂 let me know how you like this blog post and if you’d like more! I’m thinking of doing the same for high end and I could do a product list of the makeup fails I tried that didn’t make the cut! Thanks for stopping in again and I hope you enjoy! 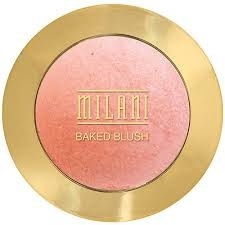 Blush, Easy choice I LOVE the Milani Baked blush in Luminoso especially for spring and summer. It’s the perfect amount of corals and pinks with a very finely milled shimmer to add just a little something extra! Highlighters well these can be tricky I find drugstore highlighters can either be extremely chalky or have wayyyy too much glitter. But the Physicians Formula Shimmer strips get it done. You can swirl your brush over the whole product or focus more on one or two colors to customize your highlight. 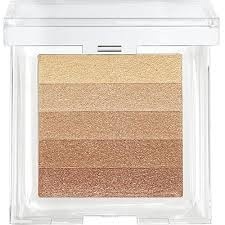 These are a great dupe for the Bobbi Brown shimmer bricks and about 1/4 the cost. Chaaa ching 🙂 Another good one to try out are the Hard candy highlighters sold at Walmart. Eyeshadow. The drugstore has comes light years I think in improving their eyeshadow singles and pallets. 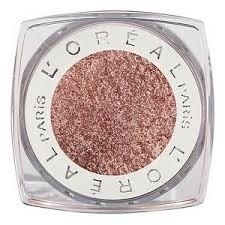 For an easy one step look I like to use the L’Oreal infallible shadows, they are ridiculously pigmented and have a gorgeous color selection. My personal favorite is “amber rush” this color compliments all eyes colors and can be placed directly on the lid just using your fingers, top off with mascara and you have an effortless but beautiful eye look. Mascara. 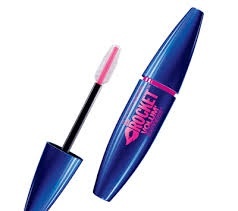 Personally I struggle with the curse of snuffleupagus eye lashes they are lifeless and have no curl to them but using Maybelline Rocket mascara in waterproof I see great length, volume and they keep my lashes curled!! 🙏 If you like a more separated look go over the top with Covergirl clump crusher and it’s perfection! Eyeliner. 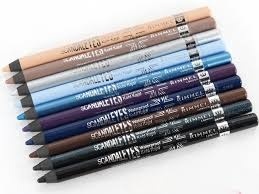 Everyone is different in their eyeliner preference but for a great kohl pencil thats creamy and pigmented I love the Rimmel scandal eyeliners. Every color is amazing! 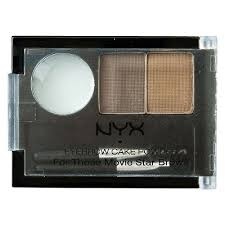 Eyebrow products, again personal choice a great drugstore powder is the Nyx brow powder it will comes with two shades, wax and some starter brushes. I use it and love the results but other may find a pencil works better for the taste. Face setting spray, now this may be a step you skip all together but myself I’m obsessed with practically bathing in a setting spray. It takes down the look of too much powder, hydrates your skin a bit and increases the longevity of your makeup…total win in my book. 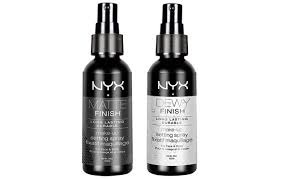 A drugstore product for this would be the Nyx setting spray. You can pick whether you prefer matte or dewy or get them both (Ulta constantly has bogo on their products)! Well ladies and gents if your fabulous and get dolled up too 🙂 I hope you liked this blog post!! Comment if you did and request anything your little hearts desire! Until next time muahhhh!